Insects have three sections- a head, a thorax, and an abdomen. Each of those sections have a unique function and will have certain parts connected to them. 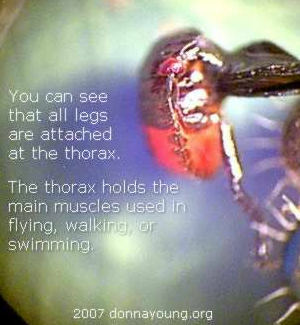 For instance the legs are connected to the thorax. 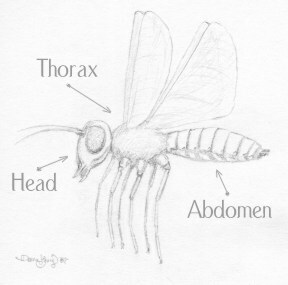 When drawing an insect, whether a real one or an imaginary one, draw the right parts connected to the right sections. See the list below. Abdomen: the systems - digestion, respiration, excretion, and reproduction. 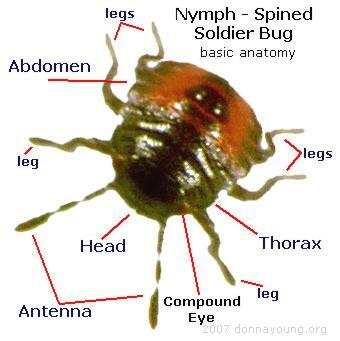 A bug drawing will contain the three basic parts. Draw eyes, antenna, and mouthparts on the head. Draw six legs on the thorax and, if applicable, wings. The abdomen is sometimes just an oval without discernible details, however; when drawing an insect from life, you might observe one or more of these abdomen features: a stinger, spiracles (the holes for the breathing tubes), segments, a hook on the end, stripes, etc. 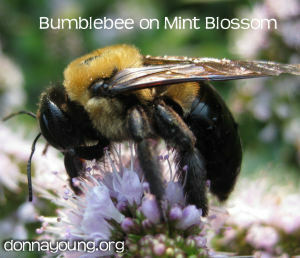 A photograph of a bumblebee from the side. 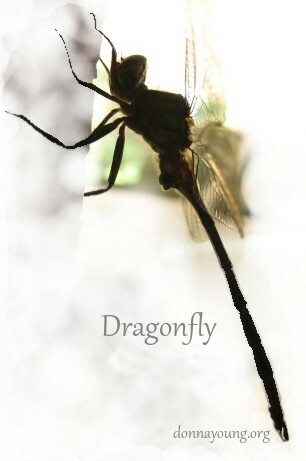 You can see that the wings and legs are attached to the thorax. I took the photograph in my garden, 2008.